Who Gets to See a Trust After the Trustmaker Dies? When someone dies, you've probably watched in the movies or on TV or read in a book about "the reading of the will." Unfortunately, this is purely a theatrical device designed to create drama and tension within a fictional story. There's no legal requirement that a last will and testament or a revocable living trust be read out loud to anyone. Instead, the trust attorney has to determine who is entitled to receive a copy of the trust and who should be sent a copy even if state law doesn't require it. So, who should get a copy of the trust? Probably the most important interested party who must receive a copy of the trust is the person or entity named to serve as the trustmaker's successor trustee. Why? Because the successor trustee is responsible for settling the trust and therefore needs to review the trust agreement to understand who the beneficiaries of the trust are and any special restrictions or instructions about their shares of the trust. The successor trustee must also review all of the powers that the successor trustee will have in settling the trust and what type of compensation they are entitled to receive in carrying out all of the fiduciary responsibilities involved in settling the trust. All of the initial beneficiaries named in the trust agreement, meaning beneficiaries who are entitled to either an immediate and outright distribution or the right to receive immediate income and principal from the trust, are entitled to receive a copy of the trust in order for them to understand what they're getting and how and when they're getting it. State law will dictate if secondary beneficiaries, meaning beneficiaries who will inherit property after the initial beneficiaries die, should receive a copy of the trust. If the beneficiary is a minor, then the beneficiary's natural or legal guardian must be given a copy of the trust on behalf of the minor. 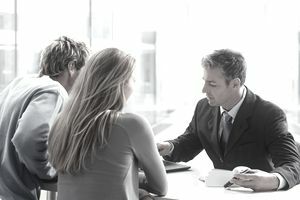 If the trust attorney anticipates that a trust contest will be filed to challenge the validity of the trust agreement, then, in addition to the actual beneficiaries named in the trust, the attorney may choose to send a copy of the trust to the heirs at law of the trustmaker who aren't named in the trust or to the beneficiaries named in the trustmaker's prior trust agreement. State law will dictate whether this will serve to limit the amount of time that the disinherited beneficiaries can file a trust contest. The accountant for the trust must receive a copy of the trust agreement in order to understand any instructions given for paying off the debts of the trust, apportionment of estate and income taxes, instructions on the allocation between estate and trust income and principal, when and if trust accountings need to be given to the trust's beneficiaries, and what powers the successor trustee has in settling and compromising claims filed against the trust and paying estate and trust income taxes. If the trustmaker didn't completely fund the trust prior to death and a probate proceeding is required, then the personal representative named in the trustmaker's pour-over will must receive a copy of the trust. It will allow the successor trustee and personal representative, particularly if they are not one in the same person or entity, to understand how they must work together to settle the trustmaker's trust and probate estate. If the trustmaker's estate is taxable for federal and/or state estate tax purposes, then a copy of the trust agreement must be submitted to the IRS and/or state taxing authority along with the estate tax return. Contrary to a last will and testament, which becomes public record for anyone to read once it's filed for probate with the appropriate state court, a revocable living trust doesn't have to be filed with any court. It is one of the biggest benefits of a revocable living trust—it keeps the settlement of the trust a private matter between the successor trustees and trust beneficiaries. Note: however, that if a trust contest is filed to challenge the validity of the trust agreement, then the trust document will inevitably become a public record because a copy of it will be attached to the appropriate court pleading that challenges the trust's validity. In certain circumstances, such as in the case of a famous or infamous trustmaker, the beneficiaries of the trust can request that the judge seal the court records to prevent the general public from viewing the trust and other court documents, but the judge will grant this request only in rare situations.